Yes, you read that correctly…Modelle Hashcapade…as in Sabrina Modelle, a.k.a. TheTomatoTart! We became acquainted through the Bakesale for Japan effort, which has raised over $140,000 in relief funds. As luck would have it, I was in town to run the San Francisco 2nd Half Marathon and Sabrina knew a great restaurant – Local Mission Eatery. Can you say hashcapade? The Local Mission Eatery and Knead Patisserie at 3111 24th Street in the Mission. As we walked from my brother’s flat at the edge of the Mission, the sleepy streets were waking up – latin music blaring at 24th and Mission, hungry diners lining up outside hip restaurants and vendors hawking their wares. 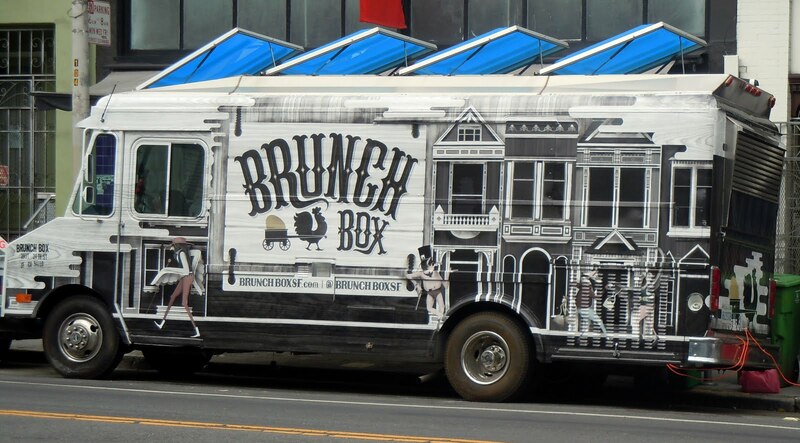 I was especially struck by this über cool food truck, Brunch Box, sporting impressive, stylized art – talk about high-end! Brunch Box also happens to have Pork Belly Hash on their menu. 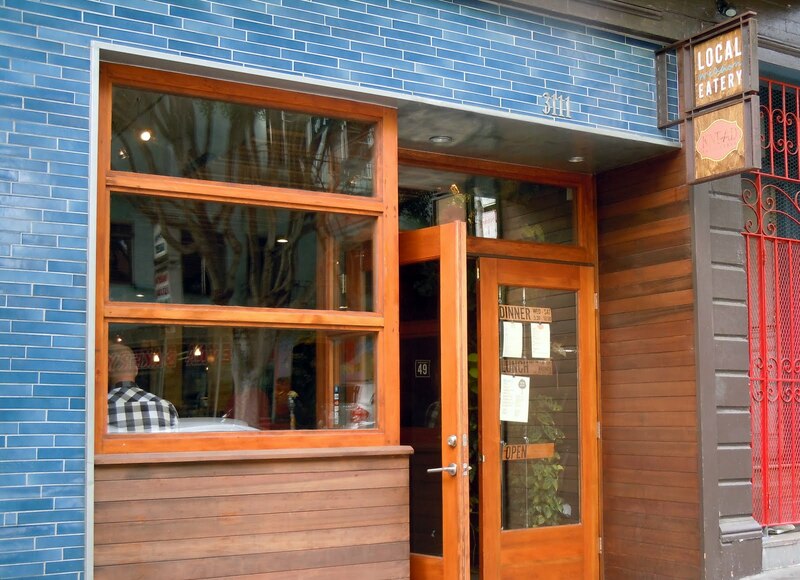 Despite my best efforts to hitch a ride on the Brunch Box to Local Mission Eatery, we walked a little further to find LME tucked into a quiet block on 24th. The front part is the restaurant and the back part is actually Knead Patisserie, an amazingly tasty purveyor of fabulous pastries. In fact, my brother thinks their Pain au chocolate is superior to Tartine! 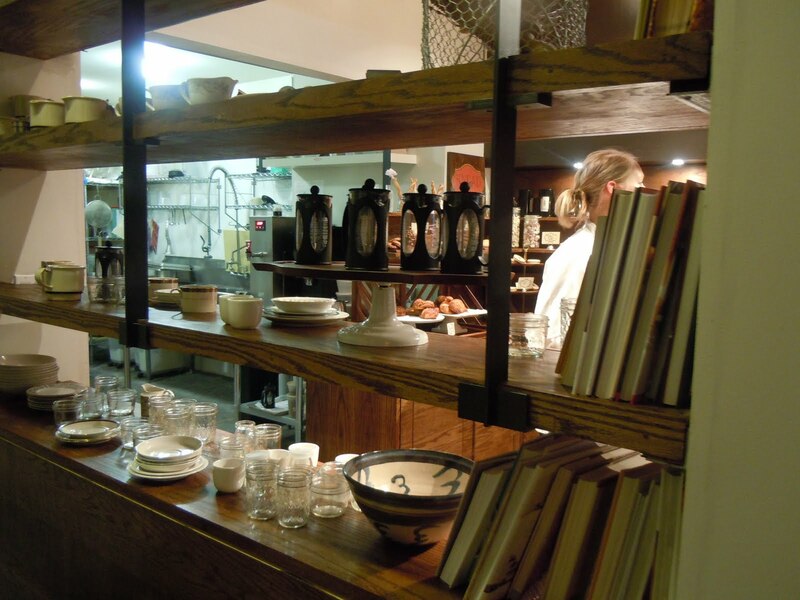 Behind the scenes at Knead – French Presses lined up like caffeinated sentinels. 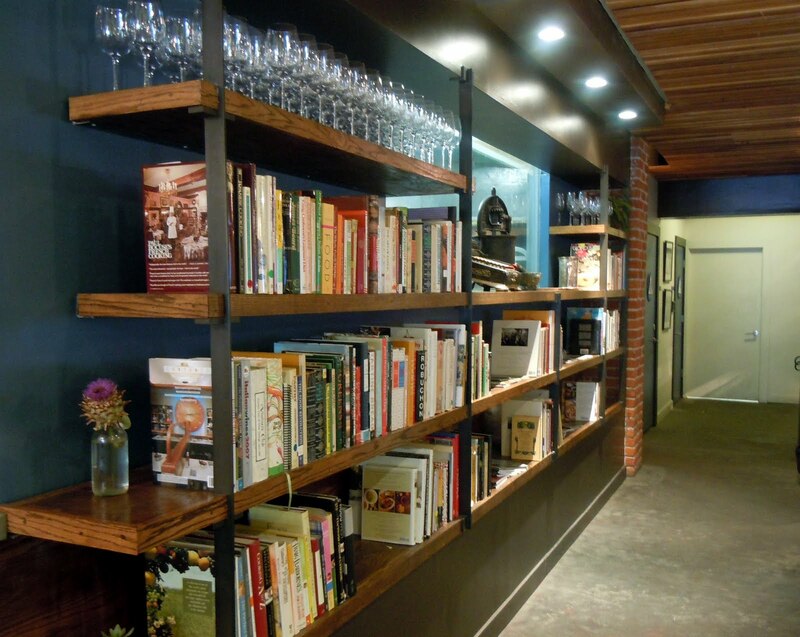 Local Mission Eatery has an extensive cookbook library to loan – sign up! After catching up, we all went to the counter to order our food. Horror of horrors – hash was not on the menu! Fortunately, the staff morphed the Chicken & Potato Scramble into hash – huzzah! Thank you, LME, I love you 🙂 Three of us had the Pork & Polenta, Bill had the Farm Eggs & Farro and Sabrina had the Smoked Spinach & Egg. When my hash arrived, I was impressed with the simplicity of the presentation. And the flavor? A.MA.ZING! 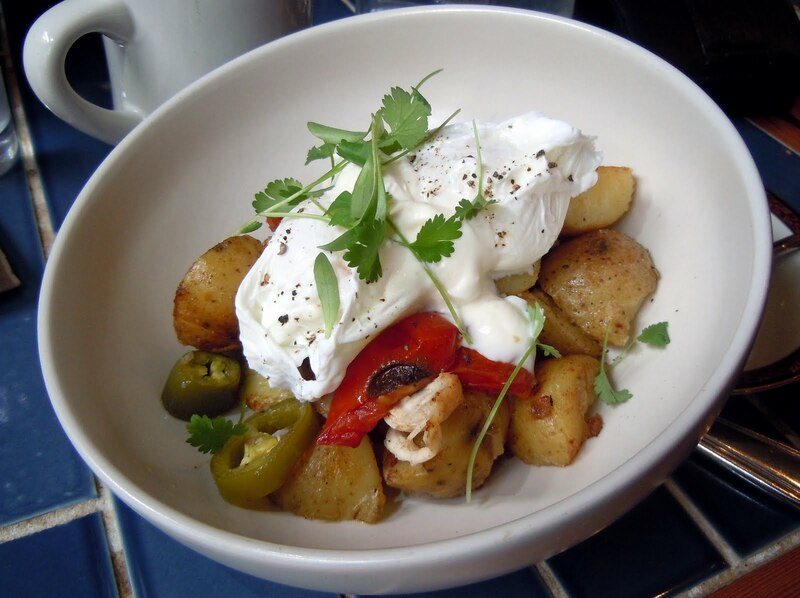 Moist & tender chicken, succulent roasted red tomato, pickled jalapeño, fresh cilantro, earthy roasted Yukon gold potatoes, topped with crème fraîche and a creamy poached egg. Everyone else was equally impressed with their brunch & pastry selections. Sabrina, you rock! Thanks for an epic hashcapade! You're a bit high maintenance, no? No, I just like a great hash and will go to great lengths and drag people along and,uh…well…ok…yes, I'm high maintenance! Thanks so much for a fantastic brunch. It was so nice to meet you in person finally, and break bread er… egg yolks at least. I'm so glad you were able to get your hash, and I'm sure the LME folks didn't mind one bit.Next time, I can't wait to take a drive up the coast and take you to Queenie's! Meeting you was like a little reunion with an old friend – a pleasure! And thank *you* for finding such a fabulous spot for a hashcapade!LME was very gracious to indulge my obsession that is hash :-)Definitely looking forward to a trek with you and Joshua to Queenie's!